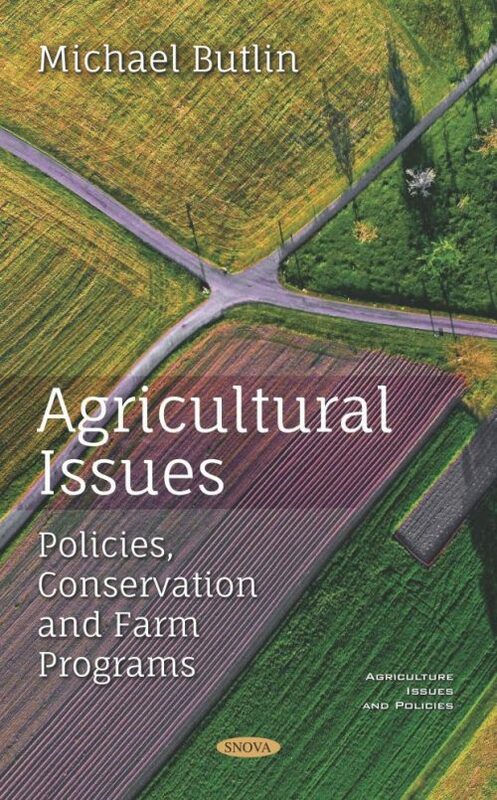 Agricultural Issues: Policies Conservation and Farm Programs is a compilation of government reports. The Agriculture appropriations bill, as described in chapter 1, funds all of USDA, excluding the U.S. Forest Service. It also funds the Food and Drug Administration (FDA) in the Department of Health and Human Services (HHS). The Natural Resources Conservation Service (NRCS) and the Farm Service Agency (FSA) in the U.S. Department of Agriculture (USDA) currently administer 20 programs and subprograms that are directly or indirectly available to assist producers and landowners who wish to practice conservation on agricultural lands. These programs are discussed in chapter 2. Chapter 3 provides background on the trade dispute that triggered the trade-aid package as well as the authority used by USDA to respond to the trade dispute with financial assistance and then describes the three components of the trade-aid package with details on their implementation. For each crop year, the U.S. Department of Agriculture (USDA) makes billions of dollars in payments to agricultural producers for which being actively engaged in farming is a requirement. As described in chapter 4, the largest programs in terms of payments are the Price Loss Coverage program, which makes payments in years in which a crop’s market price is less than a statutorily set price, and the Agriculture Risk Coverage program, which makes payments in years in which a crop’s revenue is less than a revenue guarantee. Chapter 5 describes cotton’s special treatment, relative to other traditional farm program crops, in the 2014 farm bill. The outlook for lower net farm income and relatively weak prices for most major program crops signals the likelihood of continued relatively lean times ahead. Chapter 6 incorporates USDA’s August 30, 2018, farm income projections and its August 29, 2017, U.S. agricultural trade outlook update. The 2014 Farm Act provides eligible U.S. farmers with new commodity supports in the Agriculture Risk Coverage (ARC), the Price Loss Coverage (PLC), and the Supplemental Coverage Option (SCO) programs. Chapter 7 provides an analysis of these programs with a focus on how various combinations of the programs impact producer revenue and its variability, producer well-being, and expected program costs. Chapter 8 focuses on how specialty crops are covered under the federal crop insurance program. The Animal and Plant Health Inspection Service (APHIS) of the U.S. Department of Agriculture (USDA) is the U.S. government authority tasked with regulating the import, transit, and release of regulated animals, animal products, veterinary biologics, plants, plant products, pests, organisms, soil, and genetically engineered organisms as reported in chapter 9.